Professor Gray has held academic positions at University College London and the University of California, Berkeley. He has had commercial experience in the US, working for Eli Lilly and Co and the Cetus Corporation. His research collaborations include groups at Stanford University; the University of California, Berkeley; and the University of British Columbia, Vancouver. He serves on several boards and government committees. He is on the board of Engineering Conferences International, New York, a group that runs global, multi-disciplinary engineering conferences, many of which have played key roles in developing emerging industry sectors. The conferences include cell culture engineering; vaccine technology; and scale-up and manufacturing of cell-based therapies. 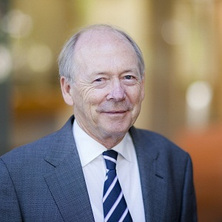 Professor Gray also serves on the board of Biopharmaceuticals Australia Pty Ltd, the company established to build a GMP grade biopharmaceuticals manufacturing facility in Brisbane, and has been heavily involved in negotiations that led to DSM Biologics becoming the facility’s operator. Professor Gray has graduated more than 60 PhD students from his research group, in fields including secondary metabolite bioprocesses; bioconversion of cellulosic substrates; mammalian cell expression of complex proteins; nanoparticles for drug delivery; and the development of stem-cell based bioprocesses. He has twice been listed by Engineers Australia among the top 100 most influential engineers in Australia, and in 2001 was awarded the Australian Government’s Centenary Medal. Professor Peter Gray leads a research group with a focus on bioengineering of mammalian cell protein expression and stem cell systems. The research group is growing a strategic link with DSM Biologics, a contract manufacturer that takes early-stage projects to the next stage of commercial development. AIBN is developing mammalian cell lines, which form the basis of biologics, medicines based on natural proteins, and DSM will produce and commercialise them at a $65 million scale-up facility at Brisbane’s Princess Alexandra Hospital in Brisbane. Professor Gray's research group is collaborating with Sydney-based Biosceptre International Ltd in a partnership aiming to develop a bio-process for producing monoclonal antibodies to treat cancer. AIBN researchers will characterise candidate therapeutic monoclonal antibodies that bind to Biosceptre's novel cancer target, known as nf-P2X7. Research and development will include antibody and cell line development; bioprocess development; and recombinant protein production in pre-commercial quantities ahead of preclinical trials. The Biosceptre collaboration is a critical step towards preclinical and human clinical trials. The long-term goal is to develop a therapeutic monoclonal antibody capable of specifically detecting nf-P2X7 and inducing cancer cell death without affecting normal healthy cells. Ongoing research in Professor Gray's research group and Australian Animal Health Laboratory in Victoria with a Hendra virus antibody aims to determine its shelf life, to see how long it can be stored. The AIBN research group has developed a process to produce large amounts of high-quality antibody. The research group has produce batches of the experimental antibody for Queensland Health and collaborators at the CSIRO Australian Animal Health Laboratory in Geelong for testing in animal trials. Professor Gray has graduated more than 60 PhD students from his research group, in fields including secondary metabolite bioprocesses; bioconversion of cellulosic substrates; mammalian cell expression of complex proteins; nanoparticles for drug delivery; and the development of stem-cell based bioprocesses. Modulating epigenetic and post-transcriptional regulation for increased recombinant protein production in mammalian cells. Hou, Jeff Jia Cheng, Song, Michael, Munro, Trent P. and Gray, Peter P. (2012). Analysis of protein expression via alternate 3’ Untranslated Region (UTR) signals through the use of site specific recombination. In Nigel Jenkins, Niall Barron and Paula Alves (Ed. ), Proceedings of the 21st Annual Meeting of the European Society for Animal Cell Technology (ESACT), Dublin, Ireland, June 7-10, 2009 (pp. 47-51) Dordrecht, Netherlands: Springer. Dietmair, Stefanie, Timmins, Nicholas E., Chrysanthopoulos, Panagiotis, Gray, Peter P., Krömer, Jens O. and Nielsen, Lars K. (2012). Metabolomic analysis of CHO cultures with different growth characteristics – development of a metabolite extraction protocol for suspension adapted mammalian cells. In Nigel Jenkins, Niall Barron and Paula Alves (Ed. ), Proceedings of the 21st Annual Meeting of the European Society for Animal Cell Technology (ESACT), Dublin, Ireland, June 7-10, 2009 (pp. 37-41) Dordrecht, Netherlands: Springer. Sleiman, R. J., Gray, P. P. and Sunstrom, N. A. (2006) Splitting the difference: When near enough is not close enough. Cytometry Part A, 69A 5: 426-426. Ward, RL, Packham, D, Smythe, AM, Murray, J, Anderson-Stewart, P, Kitchen, N, Muirhead, R, Phillips, P, Gray, P, Bigg-Wither, G, Prabakaran, K, Freund, J, Fullham, M, Rule, M, Dalley, D, Meagher, A, Hawkins, NJ and Smith, GM (2000) Phase I clinical trial of the chimeric monoclonal antibody (c30.6) in patients with metastatic colorectal cancer. Clinical Cancer Research, 6 12: 4674-4683. Gray, P. P. (1997) 'Super-CHO' - A cell line capable of regulatable autocrine growth under fully defined, protein free conditions. Abstracts of Papers of The American Chemical Society, 213 61-BIOT. Watanapokasin, Y and Gray, PP (1997) Expression of recombinant human follicle stimulating hormone mRNA in Chinese hamster ovary cells under different promoters. Asia-pacific Journal of Molecular Biology And Biotechnology, 5 2: 87-93. Harkness, Linda, Chen, Xiaoli, Gray, Peter P. and Davies, Anthony M. (2016). Methods and analysis of pluripotency markers and cell viability in hESC cultured as 3D aggregates. In: 14th Annual Meeting of the International Society for Stem Cell Research, San Francisco, CA, United States, (). 22-25 June 2016. M. C. Duke, J. C. Diniz da Costa, G. Q. Lu, M. Petch and P. Gray (2002). Ultramicroporous membranes for hydrogen separation. In: EERE 2002, Environmental Engineering Research Event, Blackheath, NSW, Australia, (1-7). 3-6 December, 2002. EIF Project 4 - Biological Therapies, Part 2 - Biopharmaceuticals (Commonwealth-funded EIF grant administered by Therapeutic Innovation Australia (TIA) Ltd).